Low looked at the wolf. "I'm am Low and I want to see Satan." "He is on an arrand.. he isn't here"
"Be gone and ill tell satan u wished to speak to himm"
Low sat down. "I'll just wait for him." Low rolled her eyes. "Who is Ciburus?" "50 foot tall 3 headed demon"
Low shrugged. "Why should I be afraid of him?" "I enjoy eating dumb mutts, that's why." Low looked around sarcastically. "The only dumb mutt I see is the one infront of me." She told him. Low slipped out from under his paws and stood up. She walked past them and stopped at Satan's throne. "Satan." She called. "What do you want? Why are you messing with Cerberus?" Low grinned. "Because it's too easy. I wanted to work for you." 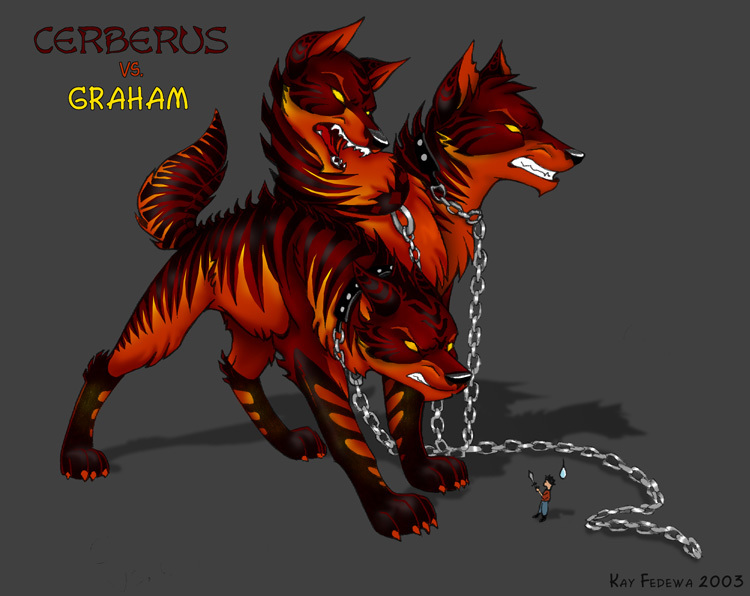 "You shall work for Cerberus. I must go." Low rolled hyer eyes. "Great." She muttered. She turned and walked back to Cerberus and sat infront of him. "I work for you now." "So I've heard," I smirk. Low sighed. "What do you want me to do?" Low growled and got up. "Great." She said sarcastically once again. "Do you have any pack suggestions?"